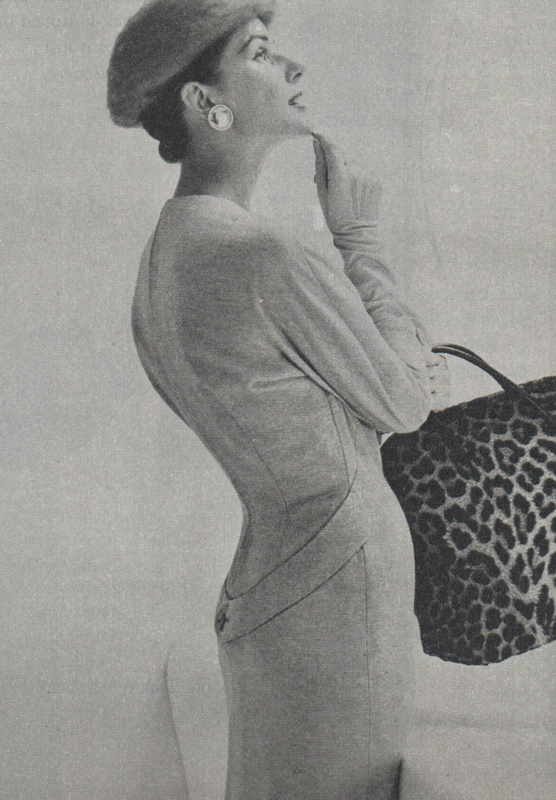 This slim dress in the sketch below was designed by Givenchy in 1955. It is loosely fitted with a high bust band that curves and swings to a back, low-placed button. Short sleeves and a collarless neckline. Note the tea length. Such intriguing fashion! Here is the dress as developed by manufacturers for the American market. I'd love to see what that matching jacket looks like!